As app developers, you’ve spent time designing, developing and delivering your app. Now you are on the brink of beginning the next important phase – acquiring users. But guess what, the mobile app ecosystem is a highly competitive marketplace. App developers constantly jostle for their niche in an already crowded market. Carving out that space is not easy unless you have the right tools of knowledge in your pocket and know what you need to, to be successful in this effort. This is where the InMobi App Insight Report comes in. As part of the first edition of this report, we have analyzed thousands of app promotion campaigns that ran on our network. Following thorough number-crunching and in-depth research, we present data that is visually arresting, quantitatively significant and vital to your app’s success. We’ve selected global data from Q2 2013 to arm you with knowledge of the top trends in app promotion campaigns that can help you effectively drive app downloads globally. 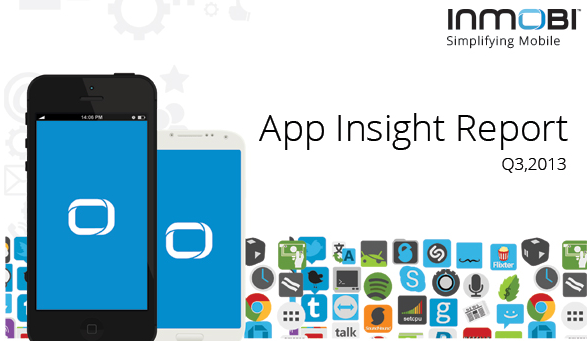 Aligning your app with these insights will make your product stand out in the vast ecosystem and give your app that competitive edge!